﻿ On paper, this seems like a total no-brainer. You’ve got Black Stone Cherry, the Southern-rock / blues-rock wunderkinds who even the harshest detractors of the US’s radio-rock lineup give a pass to, covering classic blues songs to put their own heavier spin on things. Factor in Black Stone Cherry’s penchant for keeping all of their rugged grooves intact, something that would unequivocally benefit a collection of blues covers, and even for just an EP, Black To Blues has the potential to be something utterly magical. And while for the most part, this EP is as good as you’d expect a bunch of blues covers from Black Stone Cherry to be, a couple of duds sadly keep it from hitting those great heights. Coincidentally they’re both Muddy Waters covers too – Champagne & Reefer plunges into tuneless sludge that does it no favours (even if some impressive soloing proves somewhat redemptive), and I Want To Be Loved morphs into a glitzy show tune that feels impossibly throwaway. It’s strange that these two end up this way, especially when the third Muddy Waters rendition Hoochie Coochie Man is comfortably the best track here, with its snarling, swampy guitar line, thick-as-tar bass, and Chris Robertson once again proving that he’s easily in the top tier of rock vocalists, belting out the foundation-testing soul he’s become well-known for. All of Black To Blues‘ best traits are encompassed in this one track – the powerhouse vocal performance; the clear homage paid to the original; and the far greater amount of beef that really makes the majority of these renditions sizzle. Because, other than the two aforementioned bumps in the road, Black To Blues goes about as well as you would expect, even going so far to bring Black Stone Cherry slightly out of their comfort zone, throwing in horns on Hoochie Coochie Man and Albert King’s Born Under A Bad Sign for that authentic blues feel, and the gospel choir on Freddie King’s Palace Of The King just to make the already huge track feel that much more exorbitant. Of course, the real draw here is twofold, the first being Robertson himself who effortlessly steamrolls over any competition by way of utter range and power he can convey. The second is how well Black Stone Cherry’s rumbling guitar tone can handle a similarly hardy blues riff, and whether it’s on the gurgling stomp of Howlin’ Wolf’s Built For Comfort, Hoochie Coochie Man‘s utterly monstrous thundering, or the thick start-stop groove of Born Under A Bad Sign, the result is resoundingly positive. But that was always going to be the case. For band that pull from classic blues as much as Black Stone Cherry, be that in instrumental style or vocal performance, paying lip service to the veterans was only a matter of time, and to do it well was also pretty much a dead cert. Perhaps there is a bit of dead weight on Black To Blues that could’ve been replaced or left out, but even for as blatant of a stopgap as this EP is, there’s been care and respect put into it that’s hard to ignore. Even for as inessential as it is, this is still more than worthy of a listen, if only for a side of one of modern hard rock’s best that’s well worth going into more. 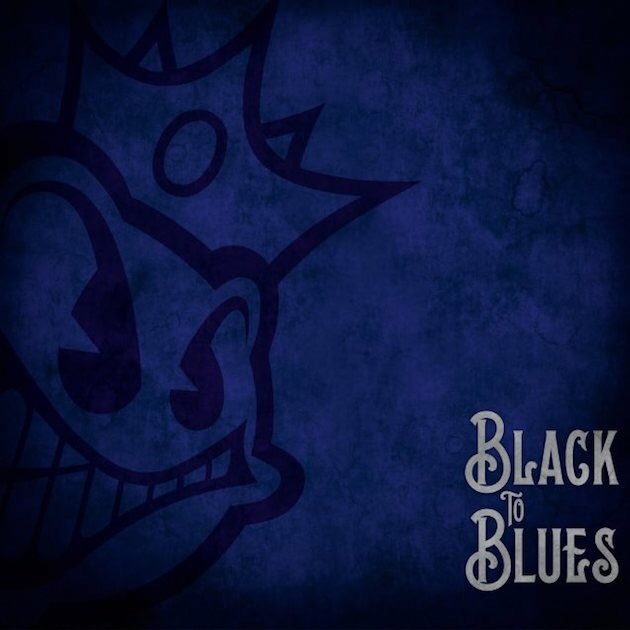 ‘Black To Blues’ by Black Stone Cherry is out now on Mascot Label Group.